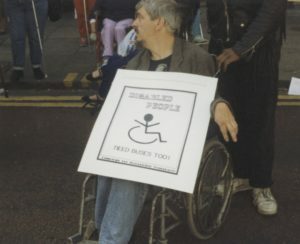 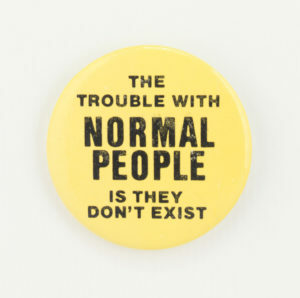 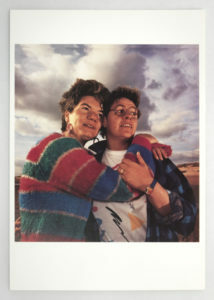 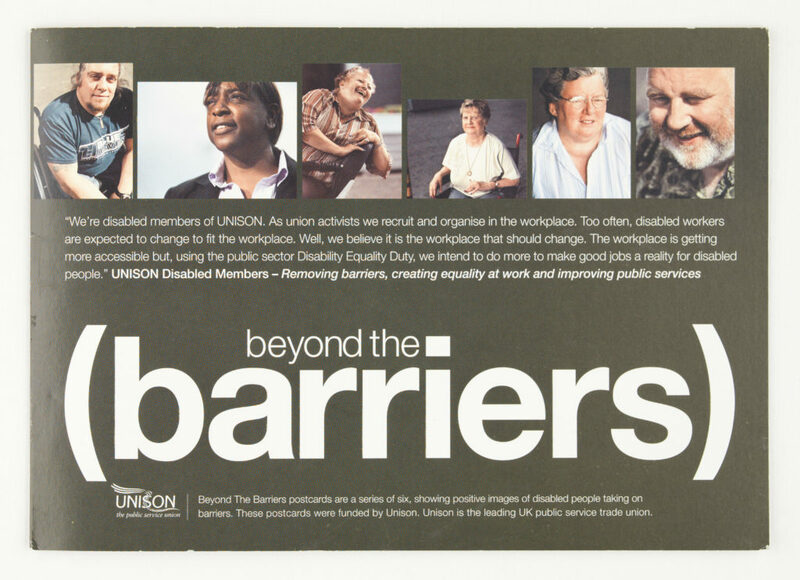 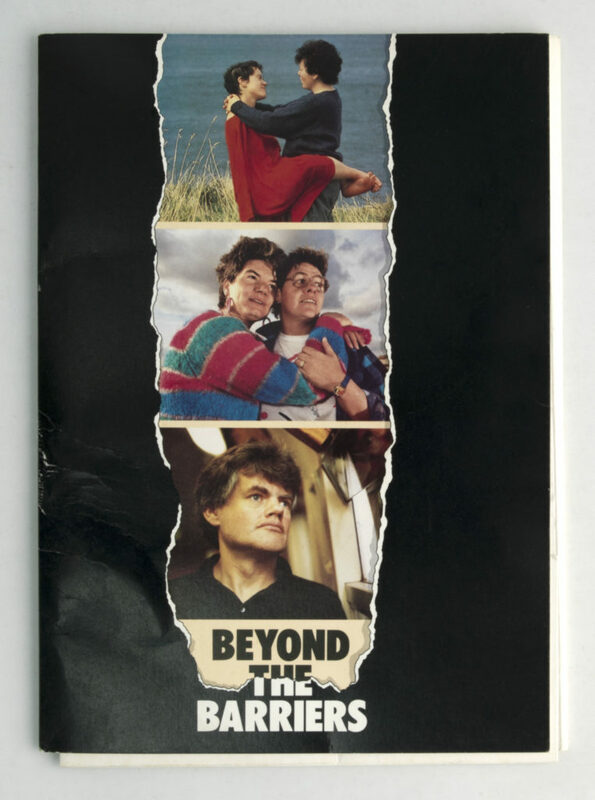 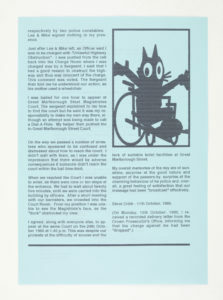 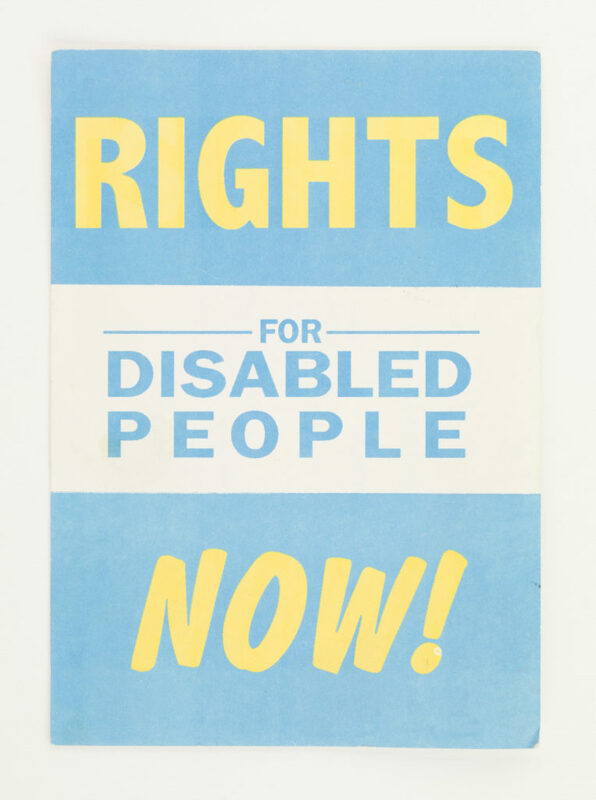 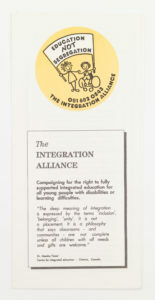 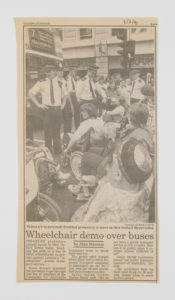 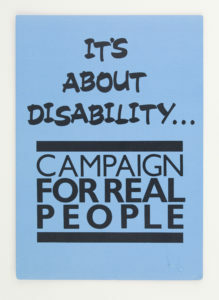 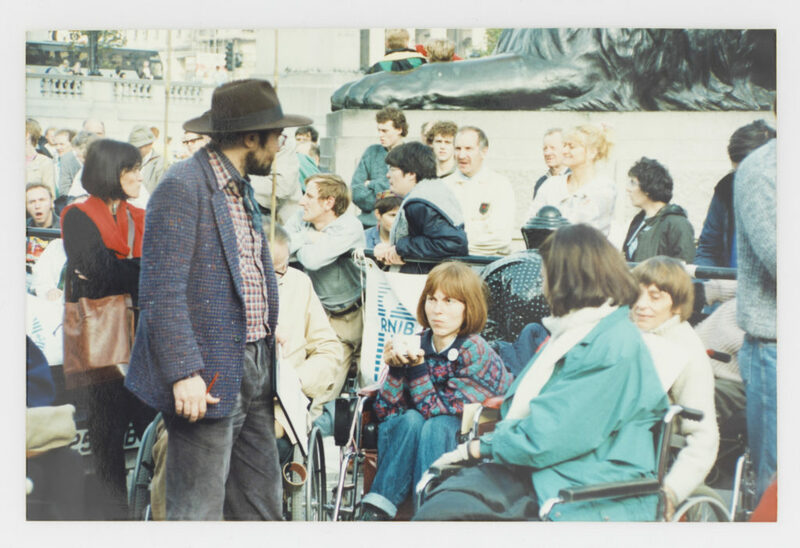 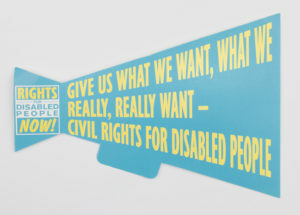 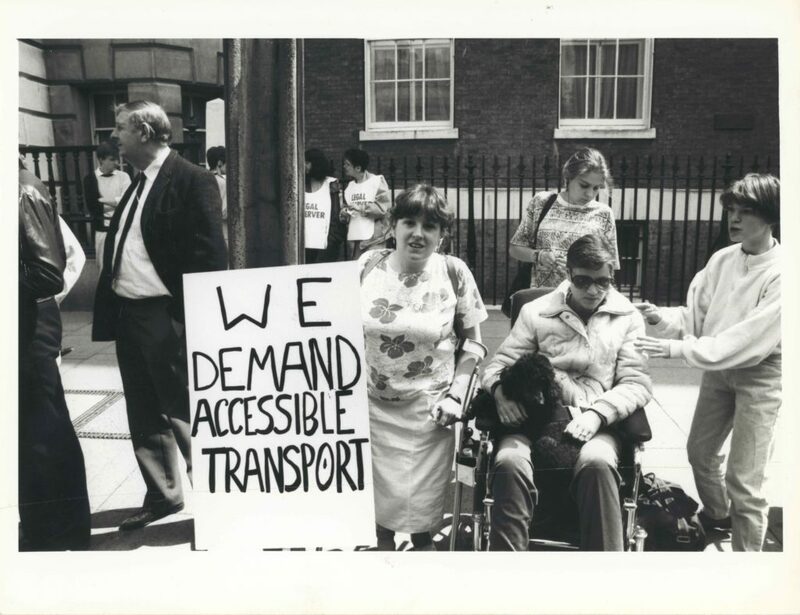 The Disability Arts Movement embodied the battles of disabled people to create a positive shared identity. 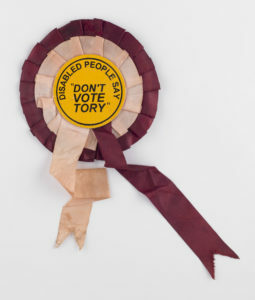 Here, you can explore the politics that emerged from disabled people’s decision to challenge the stereotype of being ‘tragic but brave’. 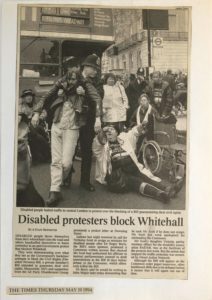 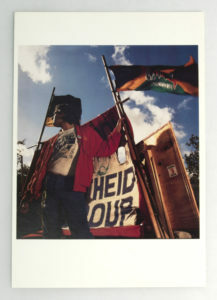 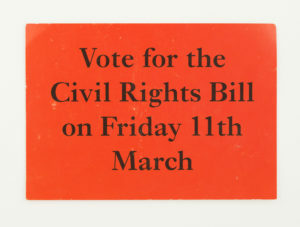 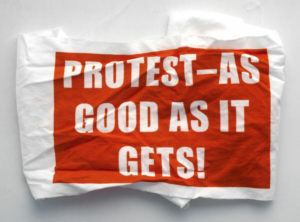 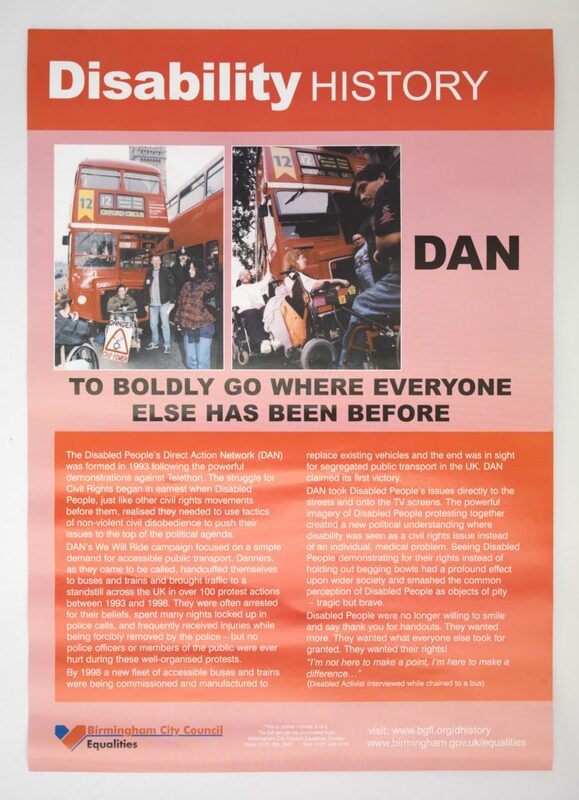 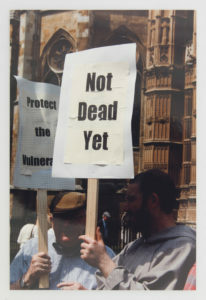 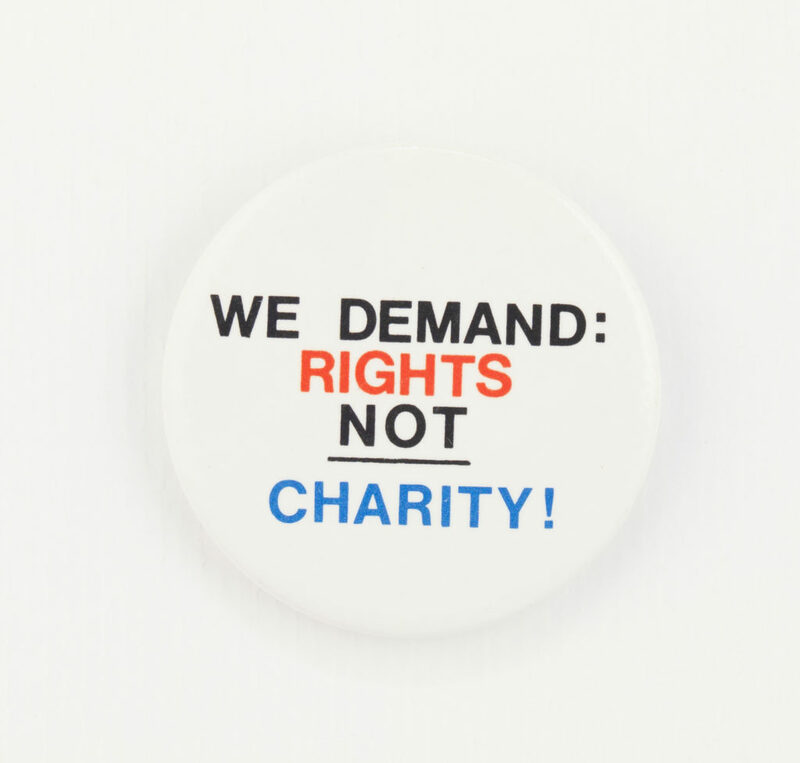 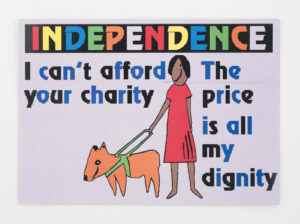 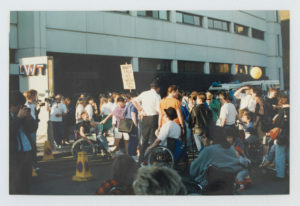 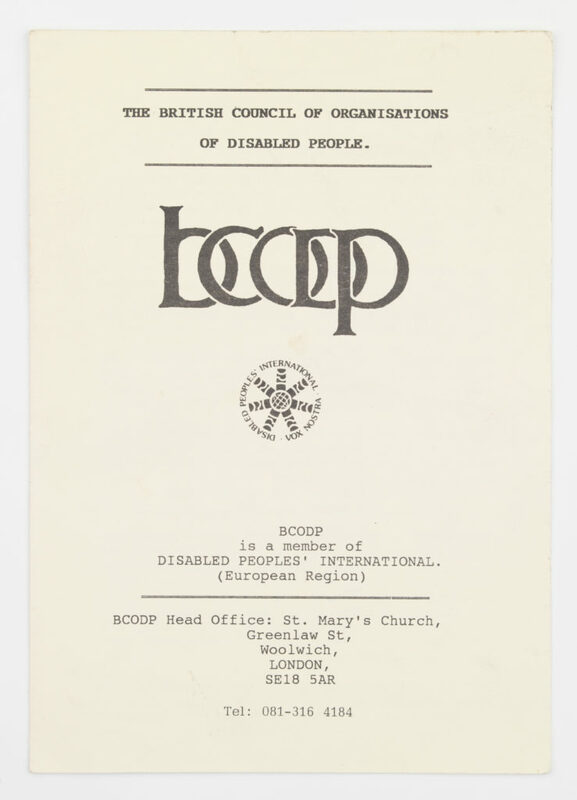 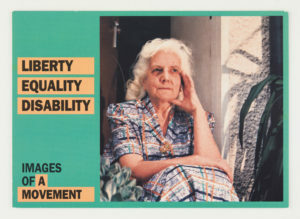 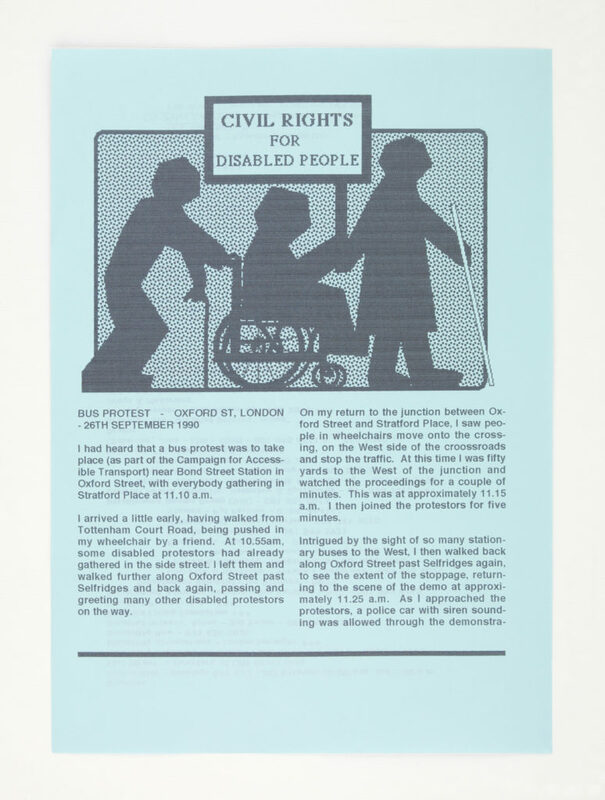 Deposits pictured include the Block Telethons of 1990 and 1992, which were protests against patronising charity broadcasts, the realisation of the 1995 Disability Discrimination Act, the ‘Liberty, Equality, Disability' postcard campaign of 1993, and many other seminal events.